After a long morning traveling on the ubiquitous chapa we are finally sitting on our private rooftop terrace, the cool ocean breeze is refreshing. The ambient temperature now somewhat cooler since venturing this far south. A mess of angles, corrugated tin roofs held down by breeze blocks and worn out old tyres. Rusted television ariels pointing every which way. All strung together by thin drooping electricity cables of various colours. 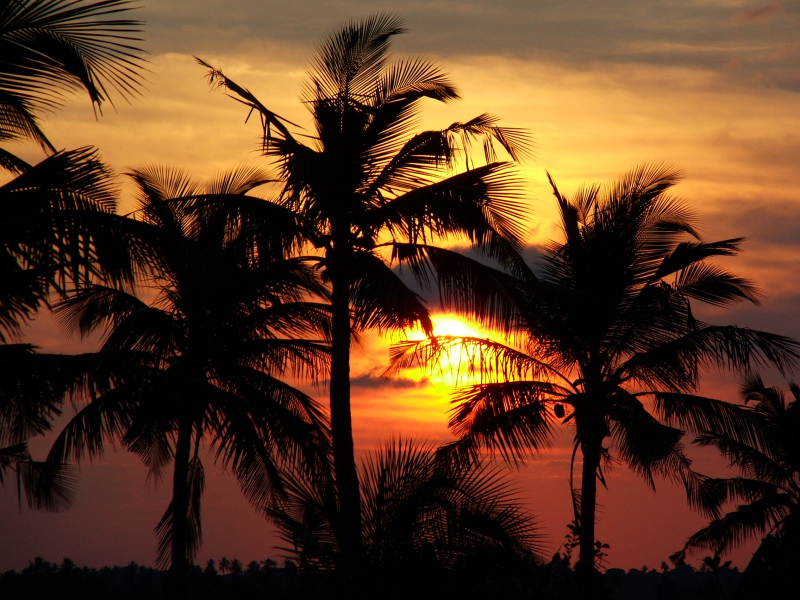 Coconut palms jut out randomly to further punctuate the skyline. Peeling paint next door to fresh coats. On narrow sandy streets footsteps are muffled. This place has a aura of contentment with the constant din of children playing. A young boy shimmies up a coconut palm, picks one, waves, and returns to the ground for lunch. Tap, tap, tap. The muezzin clears his throat. “Allah hu ackbar!” is screamed through a megaphone bolted to the nearby mosque’s minaret. We’re on Ilha de Moçambique. 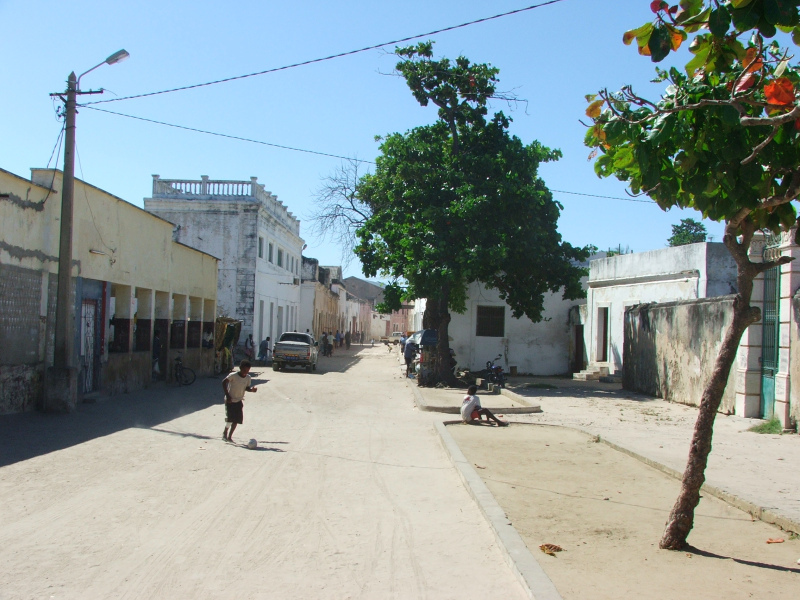 For hundreds of years Ilha de Moçambique has served as a meeting point of cultures and a hub of Indian Ocean trade. A sliver of an island three kilometres long by three hundred metres wide just off the Mozambican north coast. It is from here, in the early 1500’s, that Vasco de Gama set up the administration point of Portugal’s interests in east and southern Africa. 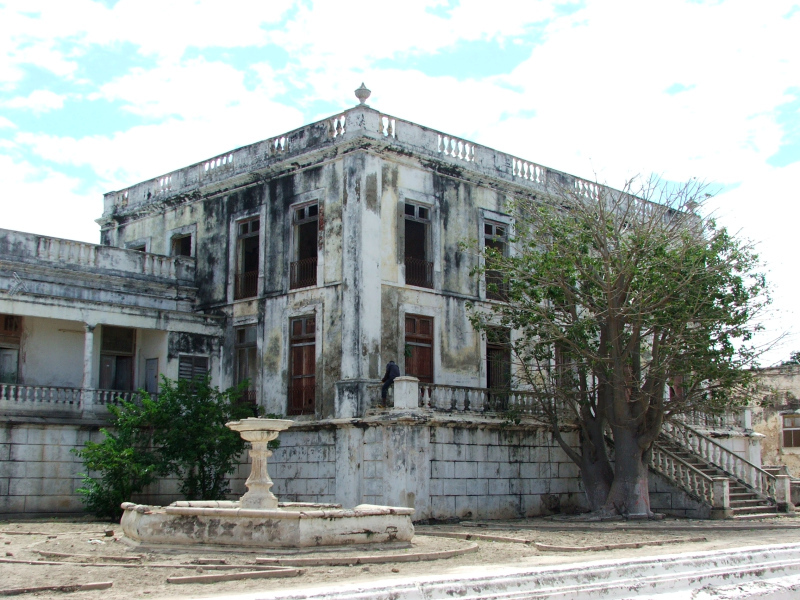 The place strewn with old colonial buildings some sadly crumbling and some gloriously restored. It’s a confusing place. Most speaking Portuguese as they weave down the narrow streets that lead to lots of un-manicured parks and old administration buildings and palaces. It almost feels like an old European town, but just when you think so, someone walks by with a basket of fish on their head. Lamu, Wasini, Zanzibar and now Ilha de Moçambique. To visit them has been like watching the passing seasons. From staunchly Islamic, to very Swahili and now very Portuguese. This island could not be more different and yet more the same than the others. The beauty of this one is that it’s not spoilt by tourism. No touts and no hassle it’s an extreme pleasure to amble about. “Pemba! That’s for tourists!” we were told. “Praia de Chocas, now that’s the beach for you”. Gabriel, a gaunt, slight, Italian with an intoxicating easiness was our host on the Ilha, recommending a nearby beach. “Go to Chocas for a few days. Eat, sleep and then come back here I’ll keep a room for you”. All just too easy – for a change! It is BY FAR the best beach of the trip. Molly reckons the best beach she has ever seen. Gabriel organised a return Dhow to the beach for us and three hours later we were there. Dropped right onto it. Out of a boat and into paradise. I know it’s just another beach to you. Just another picture postcard. 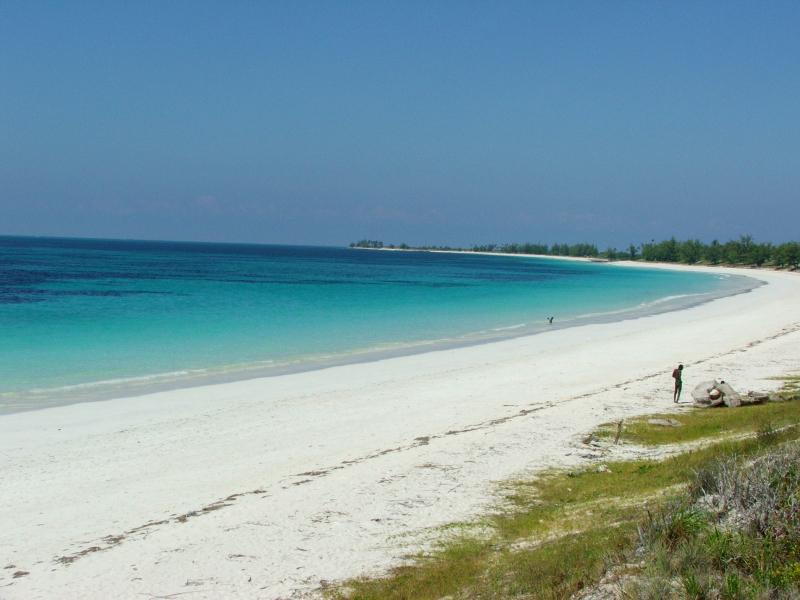 I could post more pictures of a white sands beach over seven kilometres long, skirted by palms and azure ocean. At the detriment of destroying the image of hardship I portrayed in the last two posts, I have ! What a beach! What a sunset!